Do you know how to avoid an attack? Do you know what you are legally allowed to do to protect yourself or loved ones? Do you know about the different methods of non-lethal personal protection and how and when to use them? Do you know what you need to do post an attack? Do you know about the 5 colors of mental awareness? Do you know verbal judo? Have you seen the criminal playbook? The best way to avoid danger, is to avoid the possibility of danger. We teach you skills that you can use in your daily life to help prevent you from being a victim of an attack. This class is for everyone, all ages, genders, seniors, significant others, your high school or college kid(s), etc. Plus, everyone leaves with a non-lethal audible alarm that can attach to your keychain that cranks out 120 decibels. 130 decibels is an aircraft fighter jet at takeoff. Don’t set yourself up to be a victim. Take this 3 hour course that you can use for the rest of your life. Adult – $29.99 – Reduced Price! This course is designed to teach you the fundamental skills necessary to create a Self-Defense Mindset. Most attacks could have been avoided if the victim did not present the criminal with the opportunity. Awareness is your most powerful tool. Criminals are “opportunists”. If you give them the opportunity, they will take it. We will be covering the “5 Colors of Awareness” aka Situational Awareness, “Transitional Spaces”, how to be a good witness, how to create witnesses, pre-attack indicators, home safety plans, go over all your options for personal defense, and more. If you do decide to defend yourself in an attack, we will talk about what’s justified and what isn’t. The best way to prevent an attack is to reduce your exposure to an attack. You will leave with everything you need to know to minimize your exposure from becoming a victim of an attack. You will gain an expert level of knowledge of having a self-defense mindset. 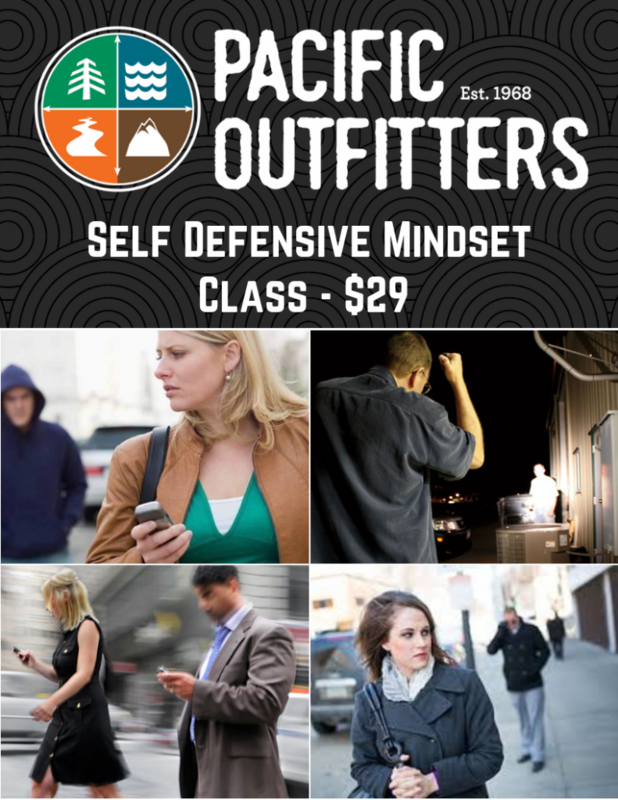 You get a certificate of completion that proves you’ve taken our Self-Defense Mindset course.